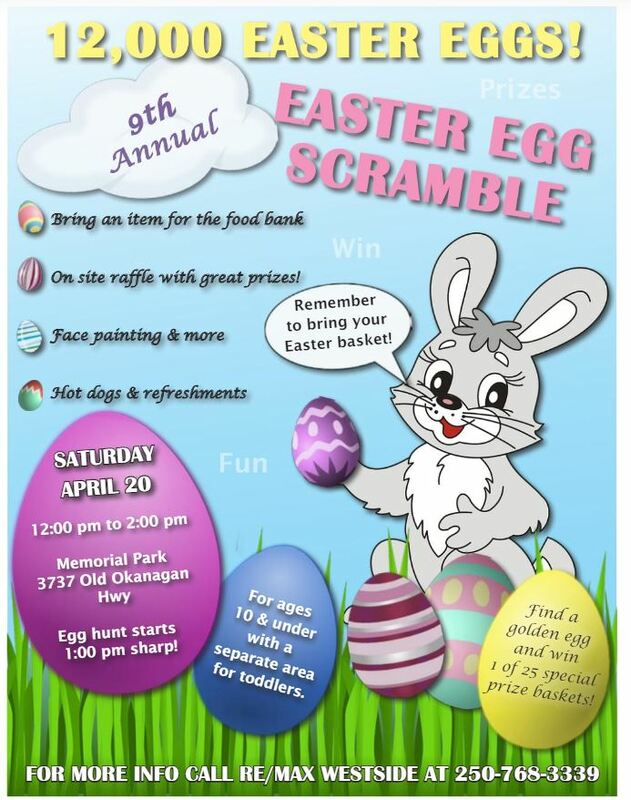 The 9th annual Easter Egg Scramble will take place on Saturday, April 20th. Over 12,000 eggs to be found! This event is for children ages 10 & under with a separate area for toddlers. 12:oo pm – 2:00 pm with the egg hunt starting at 1 pm sharp. Memorial Park – 3737 Old Okanagan Hwy.